Severe snowfalls affected the northern areas of Pakistan. Two days in a row in Khyber Pakhtunkhwa province traffic was paralyzed on the roads, many passengers faced difficulties due to a shortage of food and other basic necessities. According to tourists who are accommodated in hotels due to transport collapse in the area of ​​Natia Gali, there is no food and water. Shops located near the hotels are closed. People have lost contact with their relatives, because there is no electricity in this area so they can charge their mobile phones and other devices. 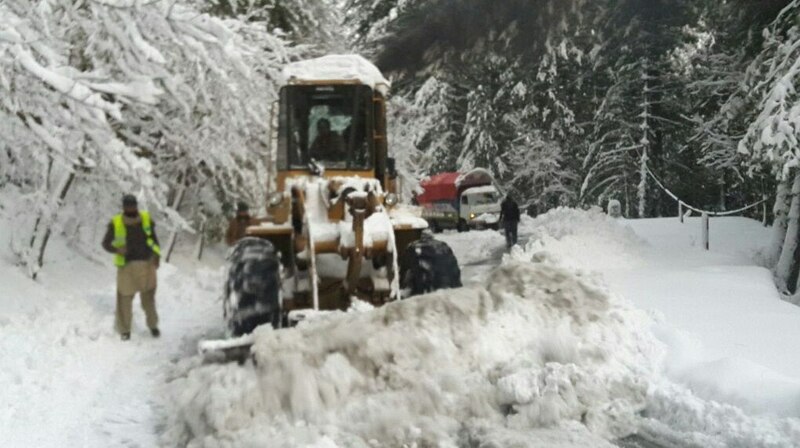 On Monday, February 12, about 800 cars were stuck on roads in this area. Numerous tourists, including women and children, appealed to the authorities with a request to take urgent rescue measures.